US 27 South to Right on 3149 to right on Johns Rd to Right on Oak. 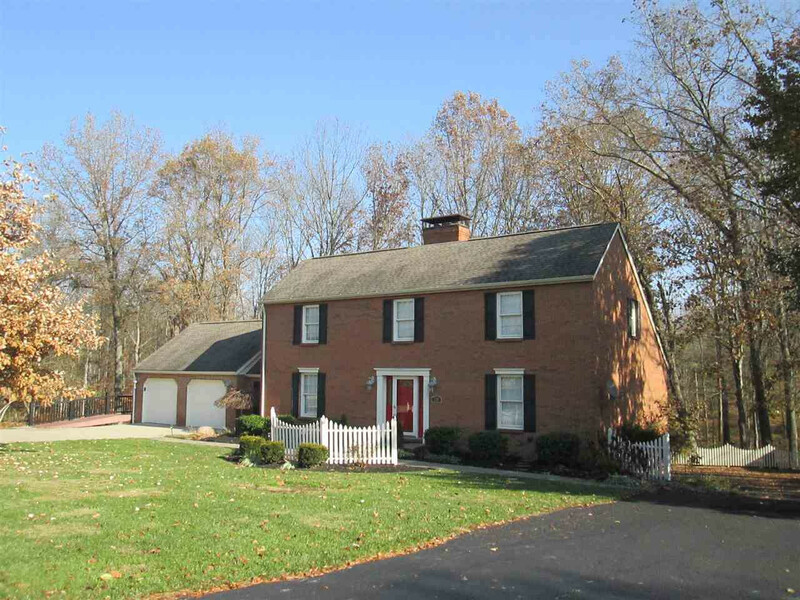 This super nice home is just over the Pendleton County line & only minutes from Grants Lick & A. J. Jolly Park! Amenities include: 2 story vaulted great room with gorgeous 2 story fireplace & triple french doors, updated kitchen with white shaker cabinetry & granite counters, breakfast bar, first floor master suite with dressing area, 1st floor laundry with lots of pantry space, enormous composite deck, beautiful wooded lot, hardwood flooring throughout 1st floor, 2 gas fireplaces, finished lower level with family rm, bedrm & wheelchair accessible shower. Chair lifts can stay or be removed.